Welcome to Orlando's one stop shop for transportation between Orlando International Airport and Port Canaveral, Florida! If you're planning a cruise and are looking for the most reliable way to get there from Orlando Airport, search no further! We're the most trusted and experienced at providing safe private transfers to cruise terminals for Royal Caribbean, Disney Cruises, Norwegian and Carnival. We also provide transportation to hotels in Cape Canaveral & Cocoa Beach! Transportation Orlando Airport Port Canaveral offers the best priced transportation between the Orlando Airport and Port Canaveral cruise terminals. 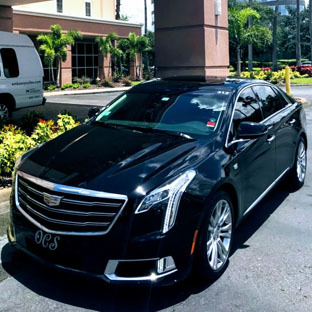 This service is private transportation in the cleanest, air-conditioned and professionally chauffeured luxury vehicles in all of Orlando, Florida. All Airport ground transportation fees, tolls, Port Authority fees, and gratuity in included in our rates. We give you exactly what you pay for. There is no better, more affordable way to get to your cruise! We offer private luxury sedan, stretch limousine, & passenger van transfers from any airline or car rental return at Orlando International Airport to all cruise terminals at Port Canaveral. We track your flight, meet you at your baggage claim and deliver you seamlessly from Orlando Airport to Port Canaveral! We know that having reliable transportation is essential and pre arranging with us guarantees you get to your destination on time. We offer affordable Transportation Rates for the type of vehicle necessary to accommodate the number of passengers you have in your party. You can decide what you require and use our easy Online Reservations for transportation to your cruise! If your family's safety is important to you, book with us. If you do not want to be standing around at any point waiting, wondering or worrying about where your driver or vehicle are, book with us. If you do not want to have to worry about how you are going to get there, whether your chauffeur will return for you, or how you will get back, book with us. We know everything there is to know about the pick-up and drop-off procedures at Port Canaveral as well as all area airports. We have the best fleet available to you with the cleanest, most professional drivers in all of Orlando. Our actions will leave you impressed, don't get fooled by the rest! Anyone flying into the Orlando International Airport on the day of their cruise can book transportation to Port Canaveral for as low as $44 per person *INCLUDING TIP in a private, luxury sedan. There’s no need to wonder who you can trust because luckily you've discovered the most trusted transportation service in all of Orlando, Florida! The best way to be sure that you and your family have a stress free cruise vacation is by setting up your own private chauffeur with a clean late model vehicle fully equipped with the latest technology available and driven by one of our own professional chauffeurs. We are here to ease the stress of travel with your family during your world ventures. We are here to assist you with setting up all your travel itinerary trips and assure your family has a professional chauffeur standing by at your desired schedule time and transport you to your destination in ultimate style and comfort. The average trip duration between Orlando Airport area and Port Canaveral cruise terminals is 1 hour. There are many options available for families that are visiting central Florida and going on a cruise out of Port Canaveral, we know about all of them. We are not the biggest operator in Central Florida, but when it comes to clean, safe and reliable services look no further than OCS. Many families that travel with small children and luggage love the fact that we provide complimentary car seats and booster seats as an added convenience feature. We believe that your families safety is our #1 priority. 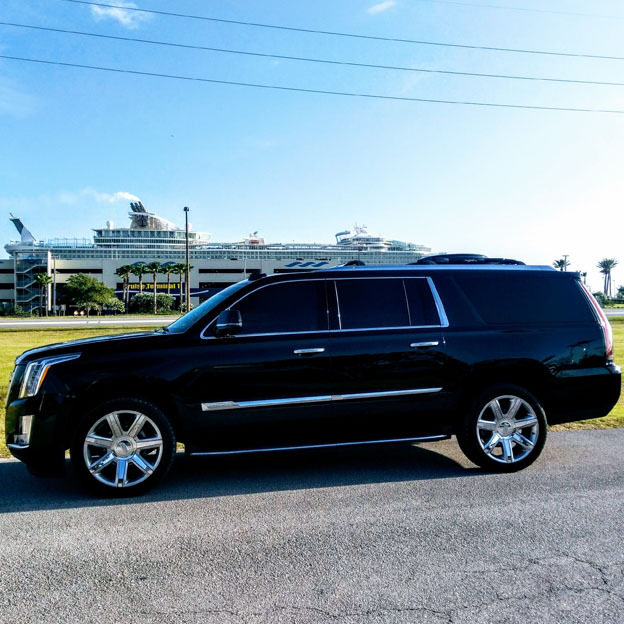 Whether you are arriving at Port Canaveral for a day Port of Call or your ship sets sail from Port Canaveral, Look no further than our fleet page to select your clean late model limousine with a professional chauffeur to add the extra sprinkle of magic to your vacation. We strive to provide all our guests with 5+ star service every time. Your family is our precious cargo. We have clean, safe, comfortable vehicles. We provide superior customer service. Yes, we pick up at ALL hotels in Orlando, Cocoa Beach & Cape Canaveral! Ground transportation from MCO (Orlando International Airport) to Port Canaveral cruise terminals will only take about 45 minutes, be certain you are dealing with a company that has both the authority to pickup at the airport and the port. This means that vehicles and drivers must be permitted by The City of Orlando, The Greater Orlando Aviation Authority. The vehicle must also display a current decal on the windshield to pick-up and drop off at the terminals. We have been providing transportation from Orlando Airport to Port Canaveral for more than 7 years and not only carry the proper licensing, we carry commercial insurance in excess of the required amounts determined by the Great State of Florida! The best way to get to Port Canaveral, period. The date you set to start your vacation can seem like it takes forever to arrive, the last things you will want to do when you finally get here are wait, wonder or worry. OCS is in business to take these three elements out of the equation. You will not have to wait for your driver or vehicle to arrive, you will not have to wonder what type of service you will receive, you will not have to worry about whether or not you will make it to your destination. We are the only true professionals offering the only safe, reliable, comfortable luxury transfers between Orlando and Cape Canaveral. Along the way to your cruise you will witness many ridiculously unsafe, disgusting rickety old buses and smelly taxis with drivers that are clearly not dressed professionally. This will confirm what you are already thinking right now, OCS is the company for you! Check our limo service! Orlando Chauffeured Services is committed to excellence and superior quality in ground transportation. We provide private transfer service from the Orlando Airport as well as Port Canaveral Transportation service. OCS is the most reliable transportation company in Central Florida. We offer many different options and vehicles for seamless vacation transportation. There is no quicker or better way to travel to and from Port Canaveral. We offer the most competitive rates and provide the best service. Check out what our clients are saying about their experience on traveling to and from their cruises at Port Canaveral. We strive to provide the safest and most reliable transportation to families that are looking to get to Port Canaveral in style without sacrificing their budget. There are many different companies offering Cocoa Beach shuttle service, we stand alone in our commitment to quality. Orlando Chauffeured Services offers door to door and scheduled Orlando Airport shuttle service to many Florida's east coast cities including Port Canaveral. OCS offers Orlando Airport transportation to Port Canaveral cruise terminals. We provide luxury town cars and luxury SUV ground transportation services both at Orlando International Airport and Port Canaveral. OCS has been providing professional chauffeur driven town cars, SUV, vans and limos for over 7 years. 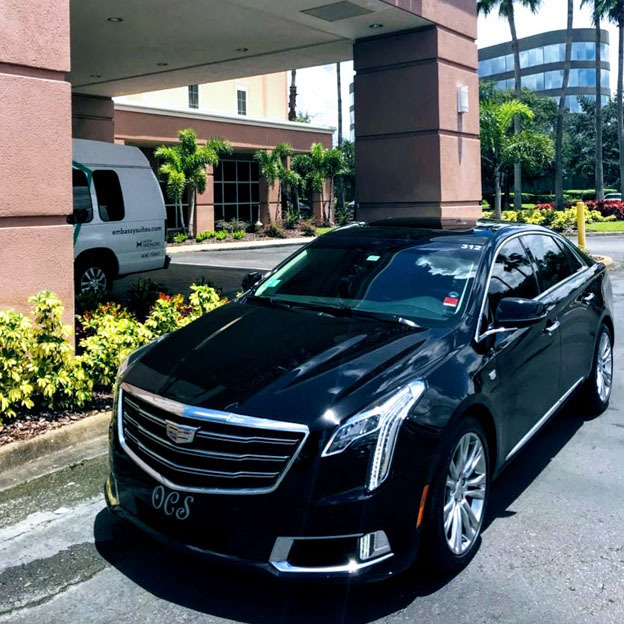 Look no further than Orlando Chauffeured Services for an exclusive clean, immaculate fleet and professional chauffeurs to transport any size party to the docks and all Cocoa Beach destinations. Avoid public transportation or a taxi from Orlando Airport to Port Canaveral by hiring a limousine to drop you off curbside at the cruise terminal for your Carnival, Royal Caribbean or Disney Cruise. We provide a higher quality of service than all of the shuttles at Cape Canaveral. The word shuttle means to transport by vehicle from one location to another. The term shuttle does not imply shared-ride or scheduled intervals. We provide a Shuttle to Port Canaveral in the sense that our private, professional, luxury transportation is a private and reliable shuttle service. Our flat rates for a private vehicle and chauffeur are less than the price of a shuttle and always a whole lot better! Request a Free Quote for your MCO shuttle online. We understand it can be a daunting task to find a company you feel like you can trust. Be confident from beginning to end, we will be where we are supposed to be when we are supposed to be there. Be confident we employ only professional, experienced, knowledgeable chauffeurs. Be confident our fleet is rigorously maintained and inspected consistently to ensure optimum safety standards. The rates for transfers we offer are competitive and the quality of service unmatched in our industry. Our customer service representatives are here to answer your questions, make changes, or take your reservation 24 hours a day! If you are still not convinced, call us! We have the answers to any questions about your specific itinerary, we have many options and can save you the hassle of trying to figure out the best way to get from airport, resort to attraction, to a cruise then back to the airport or anything else you can dream of to do here before or after a cruise from Port Canaveral. If you are originating somewhere other than the airport, we can save you money and time by picking you up in front of your hotel, resort or residence. Ask about our "Land, Sea & Air" packages that can save you a bunch over what taxis, limos, or shared ride shuttle services will charge. We have the skill to perform without mistakes consistently and this is what makes us your best bet for your vacation transfers. Many families arrive a day or two early and stay overnight at a hotel in the Cocoa Beach / Cape Canaveral areas. Even if your flight is scheduled to arrive late in the evening and there is a delay in your arrival, we will be waiting for you when you arrive to provide you an absolutely wonderful experience riding in a beautiful, newer, clean luxury vehicle. Our chauffeurs are the most experienced, friendly and professional in all of Orlando, Florida. Each of our drivers has safely transported 100,000+ passengers to board cruises or check into hotels in the Cape Canaveral area. We only wear professional attire and will not put you in any situation where you do not get what exactly what you've reserved. We are not here to play tricks with your vacation, we are here to deliver the highest quality of service, the service you deserve.